Under spiritual guidance of Fr Francis Salasiar C.S.C. 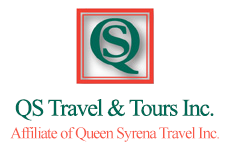 May 14 Depart Toronto for Zurich. 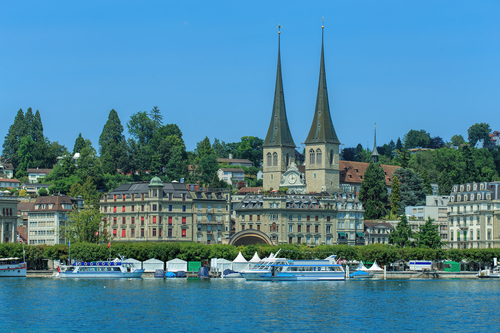 May 15 Upon arrival panoramic tour of Zurich. Mass. Late afternoon depart for Lucerne for dinner and overnight. 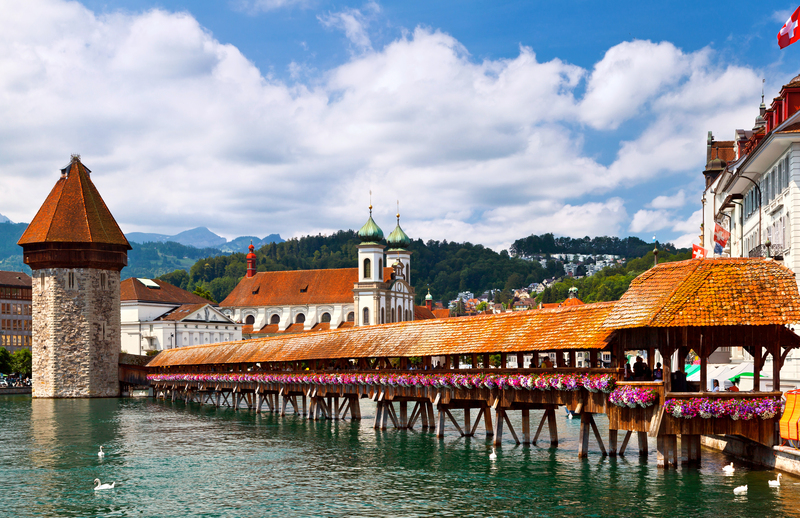 May 16 After breakfast, tour the city of Lucerne takes us to Lion Monument, the Cathedral and the Old Bridge. Afternoon, depart for Einsiedeln. The Shrine of Einsiedeln, a Benedictine Monastery established in the 10th century and dedicated to the Virgin Mary. Dinner and overnight. May 17 After breakfast departure to the beautiful scenic village of Oberammergau, where we devote our afternoon and evening attending the famous Passion Play. In 1634 the Black Death decimated Europe’s population. Oberammergau remained untouched until a homesick villager returned one night, unknowingly bringing with him the dreaded plague. Almost 100 villagers died as a result. Frightened survivors vowed that if god saved them from the plague, once every 10 years they would re-enact the agony and crucifixion of Christ. From then on there were no further deaths from plague. The villagers fulfilled their pledge ever since. The play portrays the Passion of Christ – from the entry into Jerusalem to the Resurrection. Dinner and overnight. May 18 In the morning, we are going to visit King Ludwig’s II of Bavaria fairy tale castle in Neuschwanstein which was commissioned by him as a retreat and as an homage to composer Richard Wagner (photo stop only, unless time permits otherwise). Afternoon, travel to Munich. 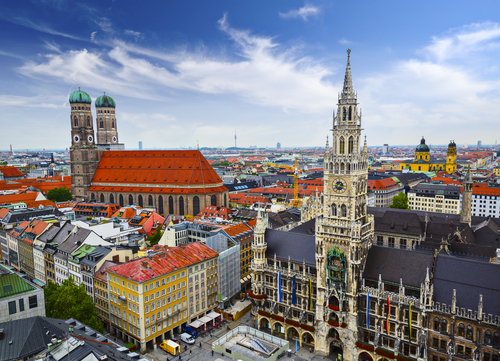 Panoramic tour of Munich including Marienplaz, the old and the new City Hall, Bavarian Opera House and the Frauenkirche Cathedral. Mass. Continue to Salzburg for dinner and overnight. May 19 After breakfast, half day tour in Salzburg begins with Mass at St. Peter’s Churchyard. Salzburg is compact and best explored on foot. Narrow, winding lanes and secluded passageways are evidence of its medieval roots. The heritage of the Catholic Church is evident in the Archbishop’s Residence and the decoration of the State Rooms, available for viewing. 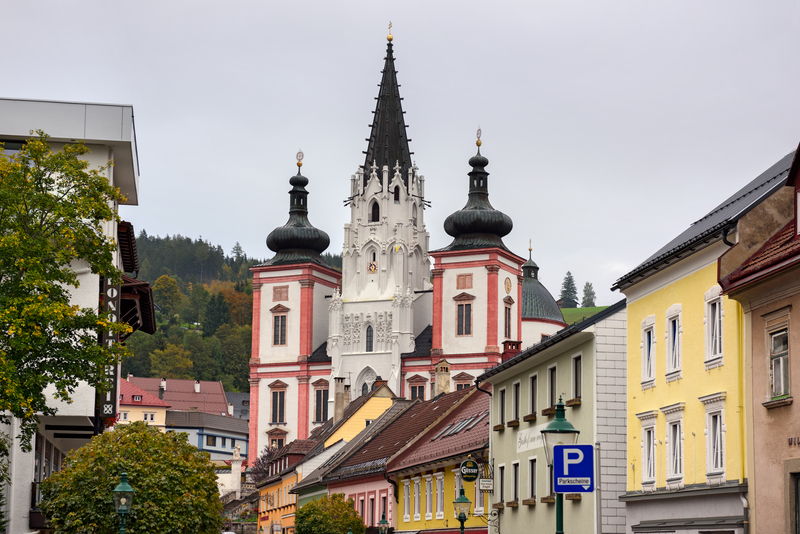 Visit the mighty Romanesque Cathedral, the Nonnberg Convent of Benedictine nuns, and the Fortress Hohensalzburg. Mass. Continue to Vienna, En route we stop in Mariazell (if time permits). Dinner and overnight in Vienna. 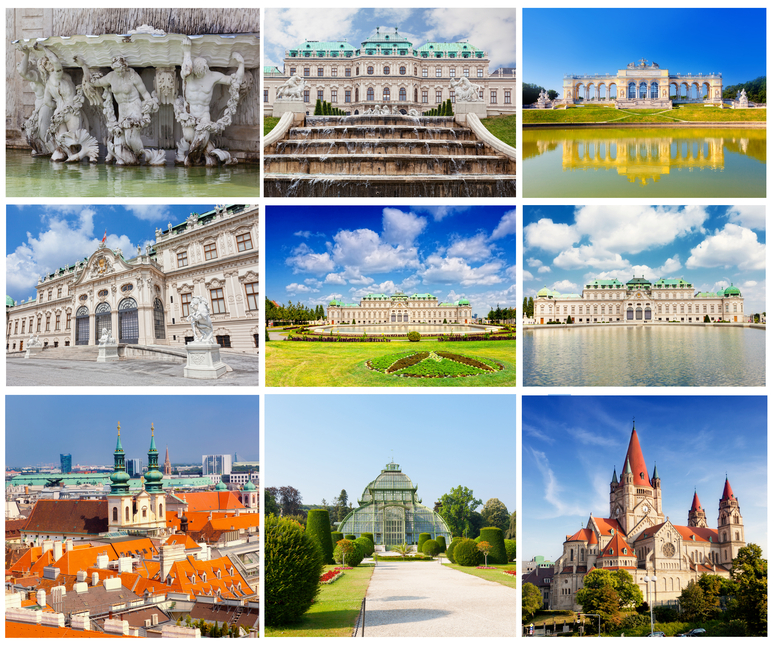 May 20 After breakfast we will enjoy a sightseeing of Vienna, home of Strauss and Mozart and one of the most beautiful cities in the world. We see the spectacular St. Stephen’s cathedral, where we celebrate Mass. At St. Stephen’s, we’ll see the miraculous image of Our Lady of Mariapocs, tour the Cathedral and its catacombs. Visit of the Schonbrunn Royal palace and summer house with 1,441 rooms including a Hall of Mirrors where Mozart performed at the age of six before a young Marie Antoinette. View of the Belvedere palace well known by its beautiful gardens. Back in the city center, we go to Karlsplatz with its Church of St. Charles Borromeo and Otto Wagner’s Stadtbahn pavilions. Somewhere along the way we will have a little coffee break to enjoy the famous Vienna pastries such as Sacher cake. Dinner and overnight in Vienna. May 21 Today we travel from Vienna to Cracow. Mass and some free time. Dinner and overnight in Cracow. 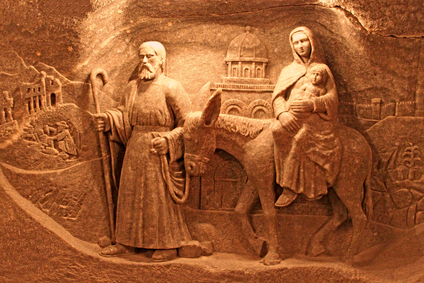 May 22 Today we start our day with a visit to the famous Salt Mines of Wieliczka, a splendid 3-mile long underground complex of chambers, chapels and statues sculpted from salt. In the afternoon we explore Cracow, the ancient capital of Poland. We visit the Market Place, St. Mary’s Church, where you may pray before the extraordinary Wit Stwosz altar. The surroundings of the square have remained unchanged for almost 700 years and contain buildings of historic value such as the Town Hall Tower, the Cloth Hall and the Wawel Castle. Mass. Dinner and overnight in Cracow. May 23 In the morning we visit Auschwitz, the notorious Nazi Concentration camp. We will see the cell that imprisoned St Maximilian Kolbe and the Martyrdom Museum recalling the horrors of the Holocaust and martyrdom of St. Edith Stein. In the afternoon we visit Lagiewniki – world known as “divine Mercy Shrine”. It is here that the message of Divine Mercy originated, which Christ himself wished to pass on to our Generation, through meditation of Sister Faustyna. Here we celebrate mass and visit the convent of St. Faustyna, her tomb and relics. Return to Cracow for dinner and overnight. May 24 Today we travel from Cracow to Prague. En route we visit the Velehrad Monastery, Czech Republic. 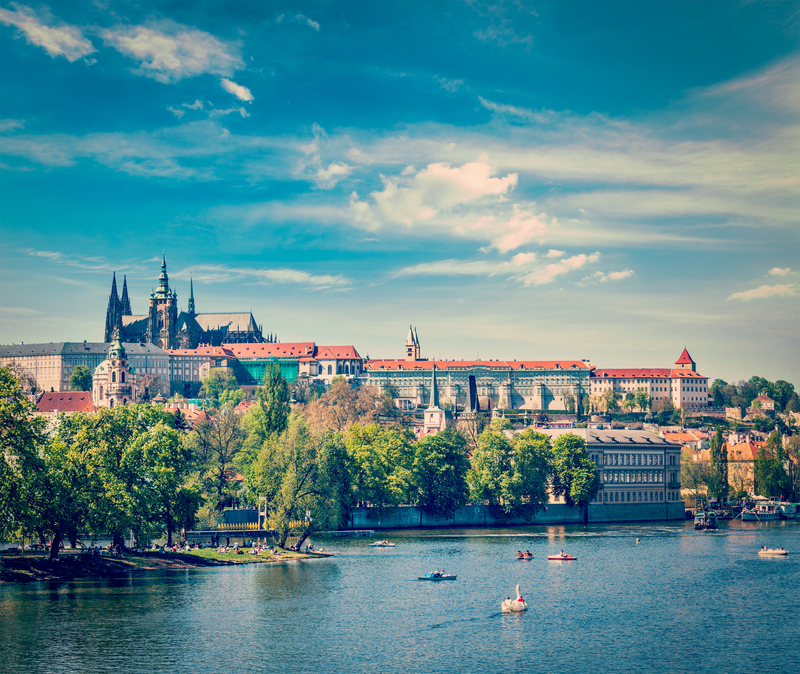 It can be said to be the spiritual heart of the Czech Republic, which had its Christian roots in the arrival of Saints Cyril and Methodius in 863 A.D. Pope John Paul II visited the monastery in 1990, his first visit outside the country. Continue to Prague for dinner and overnight. May 25 Full day in Prague. We celebrate Mass at the Church of Our Lady of Victory and see the renowned statue of the Infant Jesus of Prague. We visit the Old Town by way of Golden Lane and then go to Lesser Town to see the medieval Charles Bridge. We also see St. Nicholas Church, the Astronomic Clock, and the Prague Castle district where we tour St. Vitus Cathedral. Dinner and overnight in Prague. May 26 Today our tour comes to the end. After breakfast we get transferred to the airport for flight to Toronto.